Here we post ideas and news on industrial design! News, innovative products, top designers, high-end technology, global exhibitions and many more to come! Stay tuned to our page for industrial design and product design news! We are a group of young professionals who cover every aspect of industrial design and product design. As a result of our passion for what we do, we all like to “dig” every other day for exciting articles and interesting ideas about industrial design and thus share it with you in this page! Probably you carry the same passion and eagerness. Therefore you can do the same by sending us your ideas, your work or any news articles from around the world that you believe they are worthwhile. Check out our email address at the contact page. Thank you, The Fabricate team. Check out these great links about product design, 3d printing and many more! An up to date multi-thematic site that brings you the latest news on product design, tools, lifestyle, bizarre inventions, and an ultimate gift guide, thus very handy indeed as Christmas gets closer! More news oriented and full with latest technology on Apps, CAD, 3D printing and many more. Therefore great material for anyone who wants to get a good feeling of what is really going out there. Everything new and everything said and done at 3D industry. The ultimate guide for 3D printer maniacs! A weblog that uncovers and shares the best concepts from industrial, automotive and architectural design. Most noteworthy it also gives to aspiring designers the opportunity to publish their work! If you won’t travel to London soon, you can check on this beautifully designed site of the Design Museum situated in the British capital. A nearly infinite item gallery with design projects posted by professionals on this well known site. Check projects on industrial design, jewellery, furniture, toy design and automotive design. 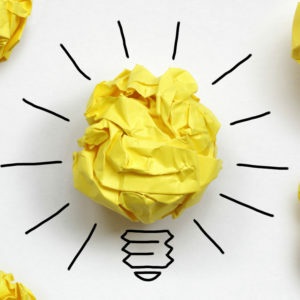 You may find your next great idea among this great stuff!